Now. I'd like to introduce today's, featured presenter, William play, wilt. Way is a assistant. 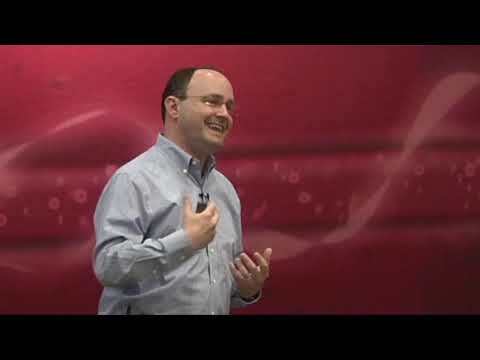 Professor, in the Department of material science and engineering and, a, center fellow the Precourt, Institute for, energy at Stanford University. Fessor. Troy has, received numerous honors including, the Mrs, outstanding, Young Investigator award. In 2018. The. Volkswagen, BASF, science award electrochemistry. In 2016. Camille. Dreyfus teacher scholar. Award in 2016. And many, others. In. 2012. He was also named as one of the top 35. Innovators. Under the age of 35 by. Mi t--'s Technology, Review, he. Received his BS in Applied Physics MS. And PhD and. Material science from Caltech, prior, to joining Stanford. In 2012. Now. I'd like to turn the floor over to well. Thank. You Joe for the introduction, and it, is my great pleasure to give. You a brief. Presentation on, the, future of energy. Storage so. If you look at the costs of lithium-ion, battery for example since. 2010. Has declined by almost 80 percent and the, trend is only increasing, on. The. Other hand if you look at the cost of generating electricity, renewably. That, cost has even gone agonda, even more for, example for wind electricity since the 80s has gone down by 90% and, for. Solar that, has gone down by 99, percent, in. The past two decades and if. You combine the, decline costs, of storage, and, generation. Of renewable electricity that. Leads to two very, interesting question. The. First question is in the sector of transportation. So. What are the remaining research. Development, needed to, fully electrify. And convert. Our internal, combustion, engine fleet to, electric, vehicle and a. Greater question and a bigger challenge is for the grid so. Can we combine, this. Low-cost, renewable, electricity, and low, cost storage and. Compete. On cost. With conventional, electricity, generated. From, you will purely. Up cos so these are the two question I'm going, to try to, give. Additional, details I will discuss, them both from, a business perspective and, also, a technology, perspective and, let me just state the take-home message which. Is you, have to look at the problem, both from the business, side and the, technology, side so I'll go over some details in the next 45 minutes. So. Let me start with a. Plot. Showing you, the tremendous, growth in v's this. Is plotting, the millions, of vehicles for, the past eight, years from 2011, and projection. Into 2019. And you, can see we sold our first million, electric vehicle in 2015. Then. The second million 2016. And now, we have sold over 4 million passenger, EVs, and within, the next year we'll add another million to that the. Numbers are big but they are very small compared, to the global industry of 1 billion vehicle, so that tells you some, of the opportunities, going forward in, terms, of fully electrifying. And I don't think I have to highlight the importance, of battery technology for. Transportation, so. I think most people can appreciate the. Growth abhi B's perhaps. A harder. Problem. To see is how, energy. Storage is impacting. The electrical, grid and here. I'm showing you the, global installed, capacity. For. Renewable, generation so, this is showing in green for wind and in, yellow for solar and you can see over the past 18. Years the, increase, in this capacity. Of wind, and solar has just been enormous, now. We're approaching approximately. 1 terawatt, of installed. Capacity for. Wind and solar so the electricity grid is changing. Very quickly and, one. Of the key challenges how, does the grid cope with. The, generation, of what we call variable, electricity, so these are not, resources. Which is available all the time the, Sun doesn't shine all the time and the wind doesn't blow all the time so. How, do we think about. Change. In the grid to accommodate, for this variable generation. Of electricity is one of the key just going forward. So. 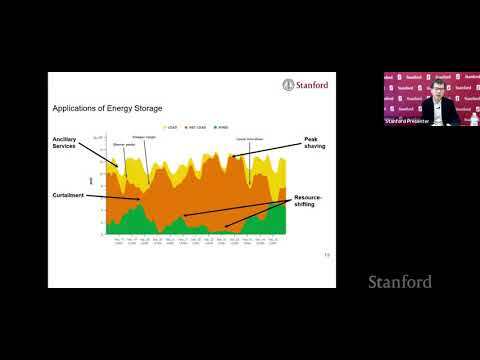 Let me talk about energy storage. In the context, of the electricity, grid these. Are plots showing. The. Utility. Scale energy. Storage, installation. That is forecasting. From, 2017. All the way to 2026. And here. On the Left we're. Looking at the. Energy. Storage. In terms of utility and on the right it's the installed. Capacity. For. Distributed, Energy storage so, utility, means very concentrated so these are power plants tile energy, storage technology, and on the right these, are distributed or a home based or. Business. Based energy storage, and I, won't get in the details of this plot which is being distributed over many. Countries but. The key aspect, is the trend energy. Storage is going to grow very, rapidly both. At the utility, level and at the distributed, level and the. Reason is actually quite straightforward, one. Easy way to deal with variable. Generation, of electricity, is to. Be able to buffer, it with, energy storage technology, such as batteries. So. One of the key driver for. Energy, storage is policy, and. Being. Here at Stanford let me start with California. So there are several very notable, policies, that is driving, the. Investment, in this area for example the, mandate to have 1.8, gigawatt, of installed. Storage. By 2024. And more, recently to, go completely carbon-free. Electricity by. 2045. That would just announced, two months ago you. Can see similar initiatives, in the policy, area in. Arizona New, York Massachusetts, Texas. And many, places in the US and globally as, well in. The US the, state-level policy, it is currently what's driving, energy storage, on the grid level and this, is going to be a very, significant. Factor going, forward in the growth of the industry. So. Let me give some specifics. On battery, technology, battery, it is not the only technology that can be used for grid storage I will talk about a variety of them. Later in the webinar but. Just show you one example this. Is for battery based technology, and you're basically seeing almost, zero installation. In capacity, prior, to 2010, but. Because, the cost of lithium-ion matter has gone down so much you, can see that the declining, cost is almost matched with, the installed capacity which, is really taking off since 2010, as well this. Is a great start. But we're still very far from, matching this to the one terawatt, generation, capacity I showed earlier from. Solar and wind so this highlights the challenge, we have to deal with and I will talk about a little bit some, of the technological and the business drivers, behind. Getting. The storage capacity to, match up with that of generation. So. Let me talk a little bit about the, application of, energy storage in the context, of the grid so we can all appreciate how energy storage can help with transportation in, terms of electric vehicle, the. Grid is a much, more complex. System, and you. Can think about the. Utility. Of, storage, into, context, of the duration, of storage so how long do you have to store electricity for, in, order to tackle some, of these various, applications. And what, we send applications, each application. Has a revenue, associated, with it so, this is driving some of the technical economic, behind. Storage, on for, example whether utility. Companies will incorporate, storage or not or do they go with traditional. Means of providing, electricity, for, example through, natural gas power plants so. Let's start at the bottom, on. The level, of seconds, you, have things, like, startup. Of the grid so you have to provide some initial energy if the grid was down and you have to restart it the. Second one is frequency regulations. If you look at your electricity, output it is very stable okay but that. Only happens when demand and supply of electricity are perfectly, matched and sometime it is difficult to match it so you have to have some amount of buffering so, that your electricity, will come out at the right voltage, in the right frequency, so 120, volt and 60 Hertz in the United States then. You go on to minutes, so, these are what's called, so, to accommodate for variations. In the grid you have to have electricity, that you can provide on. A reserved basis, under ordered minutes then, keep moving up you have what's called peak shaving and this, is corresponding to the fact that there are demands, of electricity, that is high and low in the day and when. The demand gets too high this. Puts a lot of stress on the system on the grid so being able to shave that peak, to, decrease the peak requirement. Of electricity from. Conventional, sources it's important, and, then if we move up even more in the purple box we talk about curtailment. So this is where there, is so, much renewable being, generated for example from solar wind you. Can't use it all and if, you can't use it all you have to start either, dumping, the electricity, away or you have to think about basically. Curtailing, it and this, is a significant. Revenue loss for. The electrical, electricity. Grid companies as well and. On the very very top right you have seasonal, or long-duration resource, shifting I'll talk a lot a little bit about this as well so you have different, outputs. Of electricity from solar throughout. The year so we are have high solar output in the summer and lower solar output in the winter but, the demand is actually somewhat. Uniform So, being able to shift the ability, to shift the electricity, between seasons. Could, also be very important, and another important, source of revenue and, if, you look at this plot from left to right it ohso shows you how. Important. It is dependent. On the penetration, of renewable, so when the Renewable penetration, if, you want it to be a hundred percent you, have to talk about seasonal storage but, if you only wanted to be ten percent then, maybe we can get away with just peak, shaving. So. Let me show you one example of. A. Typical. One-week. Electricity, generation. Here, so, here we have green, it's the generation of wind and we. Have here, in, yellow at the top line that is the total electricity, load so, if you look at the green here from left to right you can see it's highly variable it, can be almost zero at times and it can be very large at other times and if. You look at the low profile, the, up-and-down week. Reflects a cyclic, demand. Of the day higher. During, the daytime and lower during nighttime and, where. You have a peak demand and, low. Wind output, is where you have to, provide electricity from, something other than wind and this is where we turn up our, natural. Gas power plan and on. The other hand if you have a high, supply below demand this, is where we have to curtail, which, means that the. Grid electricity. Grid companies are paying wind. Farms to basically turn off that wind turbines because, they cannot take the electricity, and that, sometimes can result in negative pricing. So, the grid companies, are paying for. Electricity. Not, to be generated, and. If you look in the middle of the plot I'm highlighting two potential. Areas. You can for example shift. The, resources, so right, around say here February 24th, at a, noon. You have high wind generation, and then, at, midnight, you have low wind generation so, if you can move the electricity, around by, that 12. Hour I started that 20, 36, hour period, that can also provide, additional revenue, to the, great companies. One. Other application is frequency, regulation this. Slide, is showing quite a bit but let me just tell you that, regulation. In frequency, happens, on a very fast time scale so this is typically on the order of seconds, and so. These various plot basically, shows how. Effective. It is to. Match the, frequency of, the electricity, to the, between. The demand and the supply on, the top, right you have a case where you have battery based buffering, so the two curves are matched perfectly, so, there's no lag behind between. The, supply and demand but, if you go to say something like a hydro, storage so this is using water, by pumping up the hill and down you have a slightly, greater mismatch, because, of the lack time in providing, the electricity and then. If You look at a turbine. Base combined, cycle on the very lower, plot there, you can see that, the. Lack is even greater so, the tells you that the ability to maintain a, very, stable grid has to do with how fast you're, able to buffer the electricity, and battery. Provides, a really good way to do so and this, can directly. Generate, revenue, for. The electricity, grid. So. Here's one example many, of you might have heard about the. Installation, of a 100, megawatt. 129. Megawatt, hour battery system, in Australia that. Was installed by Tesla, in, 2017. The, main application. Of this battery system which is based on looking around batteries, is to, provide for, frequency, generation, which means it's used to, buffer the electricity, so, that the frequency is held constant so. 100, megawatt or 121, megawatt hour is not a very big number but. It is very, exciting. To see even, a small installation. Like this can have a substantial, impact on. The. Type. Of storage used, for, frequency regulation. So, if you look at the right the. Plot. Of the first bar. Shows, you q4. In 2017. Right, before the installation of this, battery system you, can see battery, was a very, small percentage of, what's. Used for frequency regulation, of the grid and is mainly, powered. By coal, and, hydro. Okay, so you're using coal and water to, provide the buffering needed to regulate the frequency, of electricity. In Australia but, just. The next quarter so three months later you, can see battery, grew from about one percent to, over ten percent as the. Mean to regulate, the, frequency. Of electricity so, a small, installation. Like this one can have a huge impact and this is for, Australia. As a country, so. This is very exciting to see how, a small battery system, can, have such a large impact for. Frequency. Regulation. Another. Application, that I alluded to earlier is, peak shaving so let me get in some detail here so, peak shaving basically. Reflects, the mismatch, between the, consumption, of electricity, and the. Generation, of electricity and. Here. Because, the generation, of renewable electricity is, variable, you. Have to buffer the, differences, between the two, so. One application of, peak shifting s as follows you have the top of the demand at about. 6:00 p.m. this is when everyone goes home turn, on electricity. Maybe turn on the AC if, you're in the summer in the southern states in the US and at, nighttime for example, the electricity, demand is much lower so. One idea is, that you, can generate. Excess. Electricity. When. You have lower, demand, and shifted. By about 12 hours to higher demand one. Particular, application. Could be in, storing. Wind electricity so when often blows at night so, if you're able to store that basically. You can charge, your battery, at night and then you discharge, the battery during the day when the demand is higher this, will lessen the demand on the. Electricity in the peak hours so the ability to shave, this peak can, stabilize, the grid and make, it more economical, for the grid to be operated. So. One example of this peak shaving is the. California duct curve some. Of you may have heard this in the popular, press the, duct curve basically shows, you the shape of, the. Generation. Of non, renewable electricity, and how. It varies throughout, the day so. If you look at the plot on the left it is showing you the, generation. Of electricity. From. Non-renewable sources, okay so these are primarily, your natural gas power plants in California for a typical spring, day and, the. Curve on the top in grey is the actual, in 2012, and as, you go down it shows you the prediction, to, 2020. And the, prediction, was made in 2013, so. You can see that because, the solar insolation was still quite low back in 2012, so. Your, generation, of non renewable electricity, is fairly flat during the day. But. As time. Went on the. Solar installation. Increased, in California, which means you're outputting much, more, renewable. Generation during. The daytime, and as, that renewable, generation went, up that, means the generation, of conventional. Electricity, from natural gas and others have, to go down okay, and that's why from. 2012, to 2015. You're Seeing the formation, of the. Site profile, of a duck which, tells you that you, are needing less electricity, during the day because you have more solar electricity, to work with what. Problem, does this give you well. You, have to shut down the. Generation, of non renewable electricity. During the day and you, have to turn it back up right, around 4:00, to 5:00 p.m. when. The Sun is beginning to set and that, gives you the neck of the curve and if. You look at the number here we're, talking about the ramping, of approximately. 10,000, megawatt, over, a three, hour period. This. Is a tremendous, challenge and as a stress, on the grid and. This. Was the prediction back, in 2013. How. Good were the predictions, not. Very good in fact what, we are today. We're. Already way past the, 2020, projection, in terms of the DA curve so we're very close, to, the bottom of this curve which means we are shutting down a tremendous. Amount of conventional. Electricity generation, during. The daytime and we have to turn it back up over a three, hour period, and the, plot on the right just shows you how much, ramp, we're talking about 10,000, megawatt to, put some, context. 10,000. Megawatt is half of the Australia grid so in California we have to turn up electricity. That. Is equal, to half of the grid utilization. In Australia, so, this dot curve it's a tremendous. Consideration. When it comes to technologies. That can mitigate the darker. Let. Me show another example, of curtailment. So, this is a projection in, 2020. For the Western grid in the United States showing, how various. Form, of electricity. Or. Various, forms of generation, for. Electricity so at the very bottom you have nuclear so. That is very steady. Over time so it doesn't vary, so. The power plants are running uniform, Emily then. You have coal and hydro. So, you can see coal actually, goes down during the day and the reason is very simple. The. Grid. Company, turns off coal first because, has the largest carbon footprint, and the reason you turn off coal, is because. During the day time you have, the increase, in solar and that is captured, in yellow, there so, this essentially, shows you, the, different, types of electricity that is being generated day. Today, and if. You look at the very very top, there. You can see curtailment. So there you have so, much electricity, that, you couldn't, turn off enough, of the coal, and other, conventional. Generation, so, that you have to curtail the renewables, by paying the. Renewable. Generation company, not to generate, to turn off their, resources, and this is a hit on the. Economics. Because, the grid operator are paying money to the renewable, generators, and the, renewable generators, are not able to generate the revenue they, originally, wanted to generate when they install the equipment so, this shows you how, dynamic the, grid is it's really incredible, to see the, ups and downs of various. Generation. Of electricity, throughout. Just, one, day. And. As. Another, example of resource, shifting. These. Plots, are showing, you the, resource, and demand, profile, on the left for California and, on the right for the United States for, the entire year ok, so, you can see the, demand it's fairly. Flat ok, in California, is fairly flat in the u.s. is a little, bit less. Flat and that is the or the, orange curve there but, what is very interesting is. If you look at the, renewable. Electricity, so that's in blue, on the left and on, the plot on the right is separated, into both wind and solar. In purple, and yellow respectively. And there. You, can see a significant. Mismatch you can see that we have more, generation, during. The summer month and less, generation. Over the winter month so, the opportunity. Here is can. We align. Our, resources. With, our demand, by shifting. Electricity. Around, seasons. So can we take some of those electricity. Generated, in the, month of May, to August and, we, can shift that to. The. Consumption. In. The, winter, okay. So, this is something that, is not yet possible but. Seasonal. Shifting, of electricity is a huge opportunity and, as that commented not earlier if, we want renewable. To penetrate, the grid completely. We, have to tackle this challenge. These. Are a few more plots of simulations, so. What this is plotting, it's basically, how, much capacity over, building we need one. Means no over building and two. Three four means we have to over build the, solar and wind by a certain amount and the, x-axis, is showing, you the, amount, of renewable, penetration. So zero means no renewables. And hundred means completely, renewable. The. Black curve. Shows. You the. Amount, of. Over. Building if you. Have only, have. No storage and as, you go to the lighter green curve it shows you what happens if you have storage one, day for. Day and one. Month so, as you, increase storage. Then. You, get to decreased. Amount, of over, building, of solar and wind and the, reason is simple if you don't have storage and you want a certain amount of renewable penetration. That means you have to have more, than you need so then you can generate enough solar and wind when. The Sun is not shining or. When the wind is not blowing but. If you have storage, then, you're able to shift the resources around so. That even, when the Sun is not shining and, the wind is not blowing you. Can still use, the renewable, and that decreases. The amount of over, building that, is required and it's. Very interesting to see, the. Various cases the, top curve shows, you what happens if you purely have solar ok, because, solar is intermittent. On the daily basis, this, highlights, the, importance. Of storage. So if you want 50% penetration, of solar, in the United States that, means you, need to have storage without it you can only get to approximately. 50% penetration. When, it becomes impossible to supply and this is simply reflecting. The fact that the Sun doesn't shine at night but. If you look at the bottom cases, if you go to 50/50. Mixture of solar and wind the. Curve shifts to the right which means for, a given amount of penetration, you need much less over building and this reflects, the fact that wind is intermittent. On a different time scale it's intermittent, on a day, several. Day basis, so if you mix just the right amount of wind and solar you're, able, to, have, less. Over, building for a given amount of penetration and, if, you go to a hundred percent win on the bottom that also showcases, as well but, regardless. Of what scenario, you consider, you. Need PAP storage, in order, to reach high. Degree of penetration, of renewable. Electricity. In. The grid system. So. Now let me talk about the, alternatives, so, we talked a lot about the various, application. And the business need for, storage whether it is seasonal. Storage. With there is daily storage or peak, shaving. Energy. Storage, is not the only way to do it there are a lot of competitions. That. Is already available today, and probably. One of the most attractive alternative. Is natural. Gas pker, plans so, a peak or basically, reflects the fact that these natural gas power plants are not turned on all the time it, is turned on when, the demand of electricity, increases. For example, around 3 p.m. when, the generation, of renewable goes, down and this. Is basically showing you the cost, of electricity. Per. Megawatt. Hour shifters so this is talking about if I have to move one. Megawatt hour of electricity around. For, a certain amount of time what. Will be the cost and you can see actually. Technology. Like, lithium, battery is high. On this plot okay. And using. A, natural, gas peaker plan is actually very, cost, effective. This. Is based on today's cost, of lithium-ion. Battery technology, but, look at the same plot on the right in. 2030. The projection, is that lithium ion battery will actually, become less, expensive. Than, natural, power natural, gas power plants so, this is showing you the importance. Of continuing. To push the cost of battery technology so. That it can compete, with other ways, of shifting, electricity, for example through peaker plants on cost. Okay, and I want to emphasize this one more time is that, for something. As enormous. As the grid Technic, anomic is the principle, driving, force you have to think primarily, about cost. So. Now let's get into the technology aspect. So. If we want to shift energy, around whether it is on the order of an, hour. Three. Hours a day, or. Across. The season, there, are many, different, metrics, that must, be satisfied, at the, same time and this. Plot here shows you, just a few of those, metrics. And I'll walk you through from, the top starting. With calendar, life so, calendar, life basically tells, you for a particular energy. Storage, technology. How. Long can you use, it for it doesn't matter how many times you use it it's just a. Calendar, so is it ten years twenty, years and this determines, the cost. Of electricity, that, is amortized. Over the lifetime of the technology. Going. Around, in, the clockwise fashion the next one is cycle life so this is how many times you. Can cycle the battery so, if you're storing electricity, on a daily basis then you will need to cycle at about 300 times in a year if. You're doing frequency, regulation, like the Australia, example I showed earlier then. You're doing multiple cycles or tens of cycles a day. The. Next one is energy cost, so this is basically, looking at how much does it take to store a certain amount. Of energy so. This would be the dollar per kilowatt hour that have shown earlier, the. Next one is energy density, so this is how, heavy the, technology, would be giving. An amount of energy stored the. Next one is power cost so this is looking at the cost, of delivering electricity, at. A certain rate so, for those of you not familiar with energy and power. In the context of an electric vehicle energy, tells you how far you can drive the car so that's the range and the, power basically, tells you how fast you can either charge the car or, how fast you can accelerate, the car so their costs, associated, with both. Keep. Going clockwise fashion ramp, rate so this is reflecting. How fast you're able to charge, and discharge the, particular energy storage, technology, so, we talked quite a bit about the, duct curve so that particular, application, will require you to be, able to charge and discharge energy, storage technology, over hours but. If you're talking about frequency regulation, that period, can be quite a bit shorter as well. Round. Trip efficiency this, is basically, telling you how, much of the electricity, you put into the technology you can actually get out so, we're a hundred percent round-trip, efficient system that means every bit of energy you put in you can take out and this also determines the, cost of storage as well. Safety. Is very important. You. Want to have an energy storage technology. That is safe, over. The lifetime of the system and this applies. For both large scale utility. Installations and, also home, or transportation. Temperature. Range is important, we have many participants here, from different parts of the world sometime. He gets very hot in the summer sometime it gets very cold in the winter to, have a technology. That perform, over, the broad range of temperature, and those, of you who have electric vehicle can appreciate the fact that in the winter months then, your performance, is decrease for example, for looking around battery and that highlights, one of the weakness of that particular technology, and the, final one is the volumetric energy density so, this is how much you can store per size okay. So, that in combination, with the gravimetric, energy density, basically. Tells you how big and how heavy, the, particular technology. Has to be the. Challenge, with energy storage technology, is that you have to satisfy. Many. Of these at the same time and the, plot in the middle basically shows you two example, technologies, in which you, don't have complete. Meeting. Of all the metrics okay, so, there's no silver, bullet and depending. On the application. You can weigh these metrics, differently. So for example for transportation. Graph. The metric and volumetric, energy densities, are very, important. But. For grid application to, Canada, life is very important, so. As I will talk about in the next 10, minutes or so is really, thinking about what. Use, case you, would like a particular technology, to. Serve and depending. On the use cases the, technology, will. Be different, and there is no silver bullet so, this is why we need a wide, range of energy storage technology, to, meet the different type of applications, that we have. So. This, is my personal, view and cost. Of vacation, of energy, storage. Technologies, I divided, them by the physical. Storage, mechanism. So, going from the left we have electromagnetic. These. Will be technologies. Such as super capacitors. We. Have thermal. Storage so this is storing energy in the form of heat, this, is most notable, in. The form of molten, salt that is used for concentrated. Solar power whereby, you, concentrate. Solar light and you generate heat and that he can be sort by heating something up like a molten salt the. Next one is, probably the most the. One that has received the most amount of attention is electric chemical and, bet. The poster child of electrochemical storage is lithium-ion batteries but you also have a wide range of other battery, technology, LED acid, flow. Battery and so, forth, further. On the right we have mechanical. And. The poster, child for mechanical, is palm hydro storage so you take electricity, you take water and you pump it up the hill that's, how you charge, up a palm hydro system and then, water it goes down the hill this is how get electricity, out you can do this not only with, water that you can use air as a medium, and you can also use other things as. Well. Masses. Rocks even by moving up and down the hill and the, final one is chemical, so. We have the opportunity, to take, electricity, and generate. Chemicals, such as hydrogen, and then, we can combust. It subsequently, and then, to make electricity, again so, these are the various, aspects, I don't, have that much time today so I'll only briefly, highlight, a few examples, but, I would like the audience to appreciate the, wide range of technologies, that be investigated. Today at universities, National, Labs and Industry. To, try to get this work at the scale I alluded, to earlier in, my talk. So. Let me look at the installation. Capacity. By energy storage by. Far. The. Technology. Of, preference. Today is pump. Hydro ok, an, overwhelming. Amount of energy, today are being stored by pumping water up and down. If. You look at other forms, of storage thermal. Electric. Chemical or other it's very small it barely shows up on the plot on the left and the. Plot on the right basically, shows a blow-up of those, three things ok it's just technology, other, than pom hydro so there you have a significant. Participation of thermal, storage so. Storing energy in the form of heat lithium-ion. Battery is the. Biggest one now in the, electrochemical area, and you also have other installation, in mechanical, for example, storing. It in compressed, air or by, turning. A wheel around and spinning, it. The. Opportunity for, the future is. How. Can, we develop different. Technology, to. Reach the same level of economy. As pom hydro, and ultimately, to. Exceed it and the reason why pom hydro, has limitation. Is because. Is geography, dependent. And water, resources, always a consideration, as well. But. Let me get right into lithium ion battery this is something that has really captured the, attention. Of the public in the past decade, because of the, rapid. Explosion. Of electric. Vehicles, a battery. Technology, is actually fairly straightforward. You are shuttling. Atoms. Such as lithium between. A low energy reservoir and a high energy reservoir so, in a manner of speaking this, is not very different than, palm hydro except, the energy, carrier, is not water and pumping up a difference. In height but is really a, lithium. That is being pumped around a difference, in chemistry, between, the two side of the battery which we call the, negative, electrode, sometimes, it's called the anode and the, positive electrode sometime, called the cathode so, the ability to move this. Energy carrier lithium, around the two electrode, is. How, a battery works. One. Of the most attractive, thing about a battery is how inexpensive. It has become so if you look at the table on the top right it shows you the various. Parameters. For the technology, currently, we are looking at greater than 2 gigawatt, if it's dock capacity, typical. Duration now based on the economy is about 2 1 to 4 hours for grid and. As already serving the need of electric vehicle, the lifetime. Is about several, thousand, recharge cycles, and the can normal life could be on the order of about 10 years round. Trip efficiency is, very high about 90 percent of the electricity you put in you can take it out the, cost is extremely. Attractive, today for transportation. But, it is quite, far from what is needed for the electrical, grid I didn't, get into the economics, of the grid but, if you want to have a, significant. Penetration of, electricity. Storage. Using. Battery you, need to look at. Significantly. Under $100, per kilowatt hour for, diurnal. 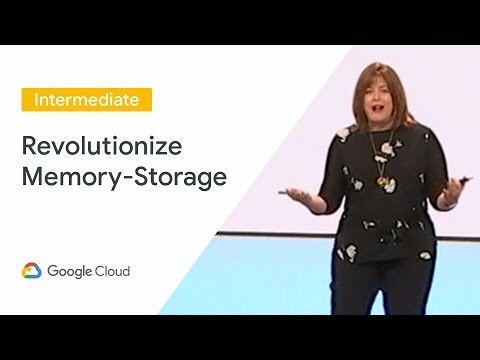 Storage meaning across. Date. And. If, you want to look at say, storage, across several days or, a week you, need to reach about $20 to kilowatt hours so we're still about 20x, off to. Reach in that goal so new technology. Is certainly needed and. Probably. What, is most, impressive in looking amount on battery is the. Scaling, exercise. That we have went through so. The plot on the left shows, you the dollar per, kilowatt hour on a battery pack, level, has. Gone from over a thousand, per, kilowatt hour just, in, 2013. To. Now. Slightly. Anticipated. To below $100. By 2025, and approaching. $50 per kilowatt hour so, this is extremely attractive, as the cost goes down new. Applications. Will come up so as the cost down then you can store electricity, for longer periods of time for, example for the electrical grid and the, cost of transportation. For EVs will also go down as well and the. Cost decline. Will, be matched with growth, in the, installed capacity and, that is what's shown on the right and, is truly exciting to think that the lithium-ion battery, market. Should. In the next ten years reach. Over, one trillion dollars worldwide. These. Is a plot showing you the, companies. Which, are involved in manufacturing, lithium-ion battery a majority. Of These companies are in China some of them are in Korea and elsewhere. In, the world as well and most. Company. Have been announcing. 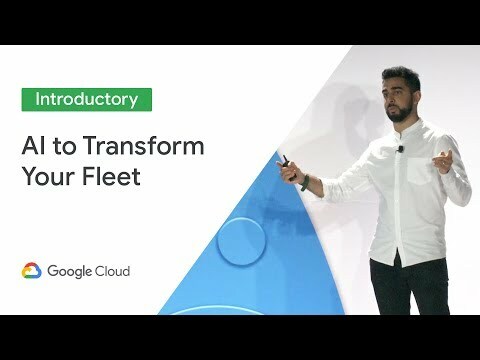 New capacities, of this plot as already outdated and, we're, seeing numbers even large today in order, for the, industry, to meet the demands for transportation. And increasingly. For grid storage application, for, lithium-ion batteries. So. What is the ultimate limit, of the, cost of lithium-ion battery, so I showed a projection, down to 70. And $50, two kilowatt hour so, fundamentally. What sets, the floor of the, cost of battery, technology is, the. Material, cost so this bar. Shows you the projection, of costs from 2015, to 2025. So, you can see the. Cost of manufacturing the. Cost of assembling, the batteries into a pack will, continue, to go down but, the cost of the material. Will not decrease, dramatically. So. The material, costs will set the cost floor so, basically, if, you look at the projection, going forward to 2025. The. Material, costs will dominate, the cost of the battery pack. So. This is showing you the trend, in the elemental, cost, this. Is the. Sum of the three expensive. Component, and batteries of cobalt nickel, and lithium, and you can see because of the rise in demand you, have now a sudden rise in cobalt, price over the past few years and this, is going to be a significant. Constraint, so, one opportunity, is can, we design new battery chemistry, that, do not use these expensive. Elements, and this will be one pathway, toward. Lowering. The cost for which is set by the material, cost. Another. Thing to think about for batteries, is cost. That is levelized, by, the, lifetime, so, the, cost, I've been showing so far is level. Wise only, by the energy, so dollar per kilowatt hour but, different battery technology, have different lifetime so. For transportation. We, need maybe a thousand. Cycles so, if you think about a a car, with a 250. Mile range 1000. Cycle means it's a two twenty, two, hundred. Fifty thousand mile and that likely exceeds, the lifetime, of cars in most use. Cases but. For. Grid application we need much more we need thousands. Or ten thousand, life a cycle, life and when. You start dividing. The, cost by the lifetime, the equation, changes so. For example this plot shows you, different, technologies, in, terms of the. Cost per, kilowatt hour and the cycle life some. Of these technology, are not used in, transportation. Today because. The energy density isn't, high enough but, if, your primary consideration. Was not the energy density say, you build a big, battery system, in the desert or elsewhere, then, you have to actually worry about cost more, than the density and the plot on the right that shows you once, you level, wise the cost by. The cycle. I of the battery then, different, winners, emerge, so, the present, technology we use today are actually, fairly high, in the levelized cost because, you are achieving you're trading the, lifetime, of the battery for high energy density but. For certain use case like the grid you may want a lower energy density but, a much longer life time and there are new chemistry's, out there that can potentially deliver. That, combination, of metrics so this is something else to think about too in terms, of developing, the right chemistry. And the right technology, that, will hit the, needs of the market. One. Other application that. Is emerging as Second Life batteries, from electric vehicles, so, as we, have more and more electric, vehicles in a market, eventually. Will have them coming off electric. Vehicle maybe they won't be, good, enough for, transportation. The ranges too short but we can still take them out and use them in grid application for example by, using them to buffer, electricity, for, solar. And these. Simulation. Basically, tells, you that by, the, beginning of. 2020. We, will begin to see significant. Amount of battery come off electric, vehicle, and this second, life use of batteries, represents. A very large market as well and economics. Is not fully understood and there's a lot of opportunity, in thinking about how, do we effectively, take batteries out of electric vehicles, and, repurpose. Them for other applications, such as the grid. So. I'm out of time today so maybe I would just say a few more words I, didn't. Have time to get into the specific. Technologies. Here the, take-home message here is there are a lot of different, technology, and each one of them will have a different. Metrics. It will not meet all the requirements there's, no silver bullet, R&D. Is ongoing for everything, I'm showing you here and more, and let. Me Stop with this take-home. Message here. Which. Is looking, at the big opportunity. My. Opinion, is that we, cannot work on technology without, considering. The business, needs, and the use case so, I spent about half the talk talking about the various, use cases how. The, grit. Companies, could be using battery to generate revenue. We. Can be looking at transportation as, a way to replace, internal, combustion, engines we talked about the economic. Behind it on. The right hand side we have the technology, I only talked about electrochemical, today but there are many more and really. It is about matching the to finding. The right technology, for the specific. Business cases and, identifying. The need to, further develop, technology, to meet certain techno, kanami goals and I think this is what is needed to, really see. The. Tration of renewable, electricity and, the. Role that energy. Storage will play so, let me stop here and thank you very much for listening now, we have a few minutes for Boyle. To answer a few of your questions. All. Right so the first question is. What. Are the challenges to recycling, batteries, at a large scale and, what. Are the associated. Environmental. Impacts how. Does technology. Reducing. The. Environmental, footprint. This. Is a very. Loaded question on my say-so let me answer the last question first the. Environmental. Footprint, is not an easy question to answer you often you, know see and you know on, the. License placing, this is a zero emission, vehicle, that. Is not entirely true it depends on how the electricity was generated and, it also you, need to think about how much emission. Went into, making, the technology so. Here at Stanford elsewhere, folks, are doing analysis. On the lifecycle. Footprint. Of these technologies, so as you compare, different. Technology, you have to think about what is the emission, that went, into the, extraction, of the raw material, the, manufacturing. And the assembly, of the technology, and that have to be considered there's no simple answer and one, can simulate, what the carbon. Pay by time you, would have for a particular technology so definitely, battery, it is not a zero emission technology, if you consider the lifetime. The. Other aspect, from. The, listener. Is recycling. This, will be crucially. Important, it will be a huge industry and let, me comment on from two perspective, first is economics. So, recycling, will only be done if its economy, lay viable, and he, will be economically, viable for example, when the raw material, cost goes up so, people will be developing. Ways, to recycle the batteries so that can be sold so, if you think about the budget for recycling, it's basically how much you get paid for. The Material, that you extract, on the. Engineering side recycling. Is very interesting, when. You think about recycling you think about boiling. It down to the fundamental, building blocks maybe extracting, COBOL again that's the most expensive element, in a battery but, this is very challenging, so, one big opportunity, could be can. We recycle. Battery without having to, reduce it down to the original, make up of the battery can, we for example think about rejuvenating. A battery or regenerating. A battery as a, way of recycling, and reuse are supposed, to deconstructing, the battery and one, else I have to think about the safety of recycling. So how do you take a part of the battery safely, and how, do we design battery, for, recycling. So can we design. It with recycling, in mind so, the form factor already, allows easy recycling. This. Participant, wrote California. Recently announced, for partnering solar panels, and all new homes beginning, in January, 1st 2020, what. Are your thoughts on the effects of over generation, potential. Curtailment. The. Over generation, is, already, there so as I showed in the duck curve we, have to ramp up you. Know half of the, Australia, grid in, 3 hours in California, this is how, significant. The problem is, so. This. Is only going to get worse and. Storage. Is an, obvious, answer but let, me discuss it briefly what, companies, say. For example in California PG&E. And Southern California cenar doing so. There are a lot of legacy, power. Plant based on natural gas and. One. Way to do it is to simply power, up the natural gas power plant the hardware. Is already there they're not being fully utilized, so. That is the easy way. Battery. Based technology, or other technology, is important. As well but, currently. The investment, needed to. Get that up and running basically, the capital, expenditure, needed is enormous. So, looking, forward I think, one thing that the. Policymakers. Should consider is as we, mandate more, and more renewable, electricity, generation, we, must also create, policy, to, give incentive, to more storage, and we're seeing this already for example in California we have this self generation, credit, that, give. Several. Thousand dollars to homeowners to install, battery. System, at, home so, these are sort of complementary, policy, that we look at I didn't, really mention the policy, aspect today but that's another huge opportunity, is to think about the rural policy, in terms of shaping how. Renewable, technology, included, generation, and storage, would, be deployed. Thank. You, last. Question. How. Can I get involved in you know this field especially. In. Power. Yeah. I think this is also a very difficult question, to answer I. Think you have taken the first step. Energy. Storage is extremely. Complex, and it, is rapidly, evolving it changes, by the month there are new technologies emerging, all the time so, my, recommendation would, be to get caught up by. Learning More about the technologies, we have today and continue, to follow it there, are many startups. Here. In Silicon Valley and elsewhere pursuing. The development of energy technology. But, I think as people, who are interesting, the technology, you have to be able to assess it so, what, market. Is the technology addressing. What, are the economical. Driving forces, were, the val ability, of scaling, up right you hear a lot of popular press and a lot of hype around say, battery technology, but, I think one important, skill to have is to be able to look at the technology and say okay this, is really going to have an impact as scale. Or. This is hard and I think this is one of the things that you. Can try, to learn for example from. Our program here, great. Well thank you so much everyone. For joining us we will be sending out a copy of this presentation. Within. A week and thank, you all and we hope you enjoy the rest of your day, thank. You. You. Interesting talk, albeit I doubt that solar + wind + battery storage solutions are the right answer for the needs of a carbon free industrial nation, at least not solely. We in Germany face tremendous problems due to our fast (and costly) ramp of renewable power generation without having meaningful power storage capacity. This causes all sorts of problems, not only for grid stability but also electricity prices - we now pay the highest energy prices in Europe. One absurd consequence is that we are now also more reliant on coal and gas than before. Phasing out nuclear energy entirely is harmful to our CO2 balance and grid stability. Phasing out Coal and Gas should have been the priority in my opinion, advancing Generation IV nuclear power instead. At least from current results, the French strategy after the oil crisis in the 1970th seems to be the better approach from a cost / benefit to counter climate change perspective. @derfreak , i totally agree. gehard schröder was a good canelor who had long term plans for example to stop nuclear power step by step. after cdu won, they destroyed all the plans of schröder, because its expensive and short term solution politicans dont do expensive things. after hiroshima angela merkel made a big show telling the people that cdu have the great idea now to quit nuclear. merkel is a show maker. This could easily have been titled "The Next Big Opportunities for Lithium Batteries". In terms of "do it now", re-powering existing hydroelectric locations for pump-back is obvious, it's way cheaper than building pumped storage from scratch. For some unknown reason, Norway seems to be the only place that's figured this out? As a rule, the use of thermal storage is much cheaper than batteries, California's duck-curve could be solved with ice storage instead of electricity in the evening. In cold climates off peak thermal storage is also cheaper than batteries. The absurd consequences aren't over, the path Germany has announced to shutdown coal and nuclear involves much more natural gas, which is hardly a sustainable plan. I agree that the French have done very well with nuclear. Chemical energy storage is very promising....it allows for long term storage and regional distribution....it's not limited to hydrogen or methane either...I'm surprised other options weren't mentioned....my favorite being Ammonia currently. Many of us are proposing it as the next wave of the hydrogen economy. Nice informing video. Thanks! Where can i can the presentation from ? I'm a student and working on a project at the moment and would like to use some information. Nice informing video.Thanks! Where can i can the presentation from ? I'm a student and working on a project at the moment and would like to use some information. An interesting presentation in which the audience was expected to bring an electron microscope to see the small letters on the screen. Unfortunately, I forgot mine.